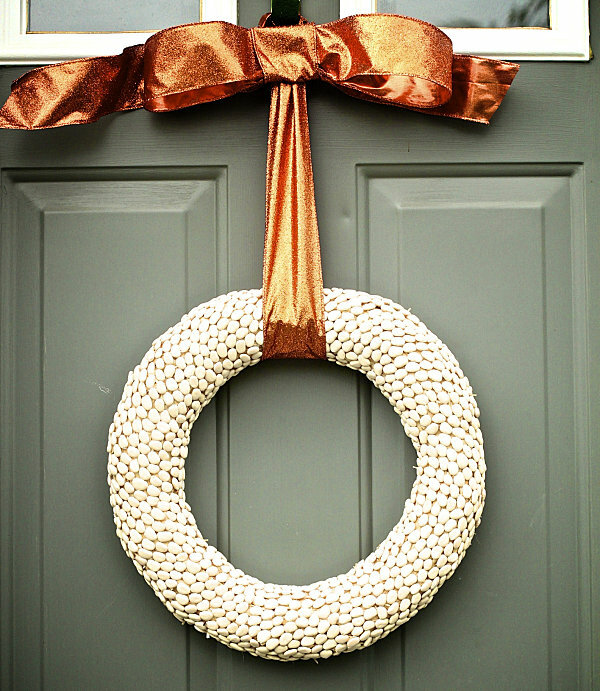 Fall is in the air, and wreaths are on the door. Well, maybe not on every door. 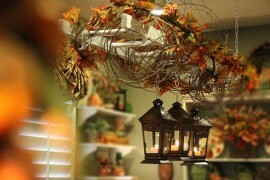 In fact, many people actively avoid fall wreaths, assuming they are too frilly or traditional for their taste. 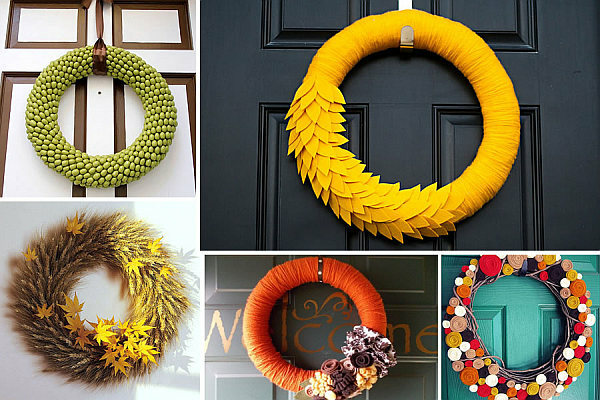 If you don’t think autumn wreaths represent your style, think again. In fact, if you’re looking to add a little something different to the outside of your home, this post is for you! 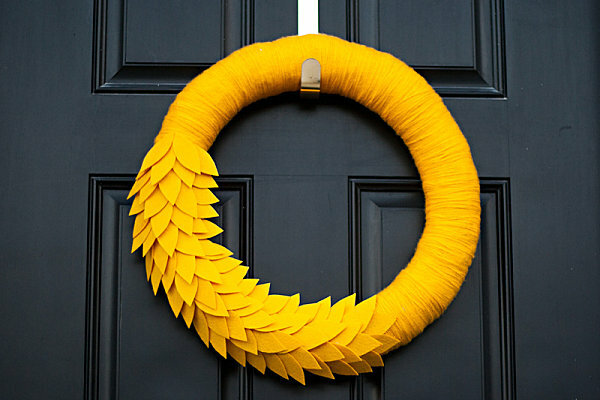 From felt and yarn creations to monochromatic marvels, these unique wreaths represent the best in innovative design while still managing to be charming. And that’s no easy feat! 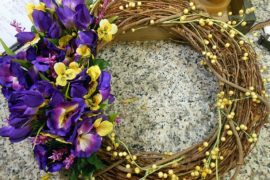 We’ve rounded up the funkiest wreaths we could find, including helpful links to DIY information should you choose to craft an autumn wreath of your own. Enjoy! 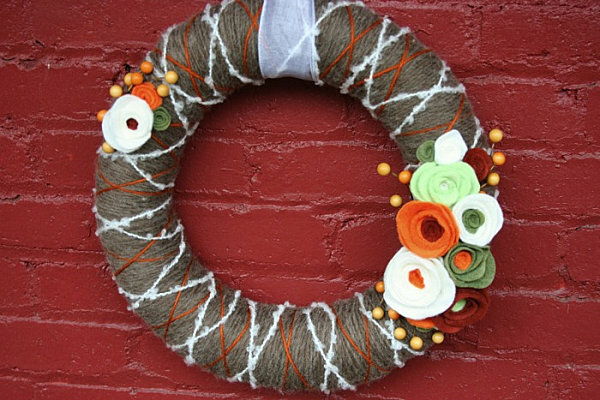 Many of today’s modern autumn wreaths are crafted of yarn and felt. Why? 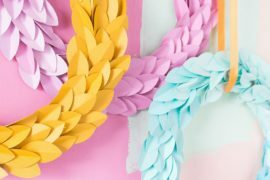 Because felt cuts without fraying, yarn can easily be wrapped around wreath forms, and these affordable craft supplies can be reinforced with simple knots or a little hot glue. 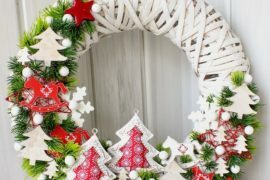 In other words, these wreaths are easy and fun to make, and you can’t beat the finished product! 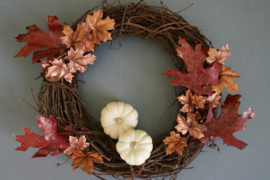 We begin by showcasing a Happy Harvest Rosette Wreath from Etsy shop Handmade Colectibles. 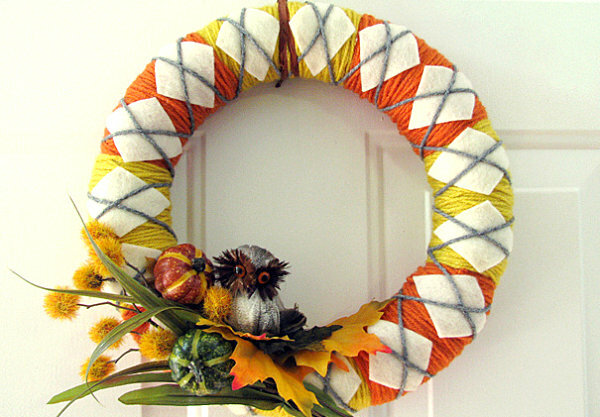 This wicker wreath is embellished with hand-rolled rosettes from wool felt. Colorful and sleek, don’t you think? If only a wreath could evoke the warmth and style of an argyle sweater… Well, now it can, thanks to The Curious Pug and its helpful tutorial for a Fall Argyle Yarn Wreath. Felt diamonds, strategically wrapped yarn, and an adorable owl star in this clever creation, shown below. 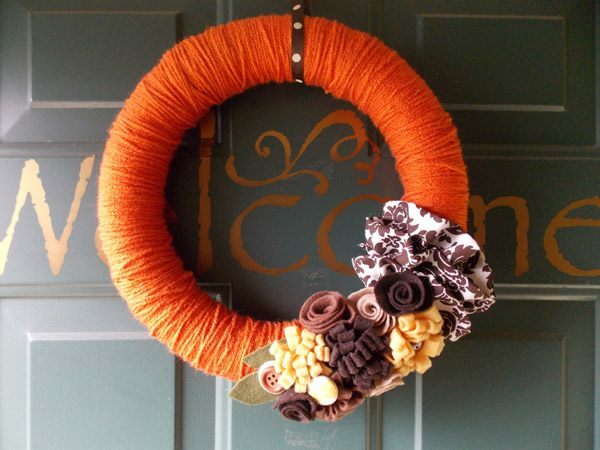 The Pumpkin Spice Fall Wreath from Quiver Full of Blessings celebrates the monochromatic aspects of yarn wrapping, then tops it all off with felt roses, flowers and leaves, plus buttons! In this next Yarn Wreath Tutorial from Home Stories A2Z, X formations are used to add contrast, along with felt flowers in vibrant shades of green, orange and red. The piece was inspired by the creations of Etsy shop Itz Fitz. We end our felt and yarn portion of the post with an unforgettable golden gem of a showpiece, the DIY Autumn Wreath from Tiffany Zahas Photography. Because when it comes to color, sometimes less is more. Stiff felt and yarn are the materials of choice for this project with a big payoff. Our next batch of featured DIY wreaths reveals the magic that results when little pieces join together! In fact, sometimes the elements combine in such a surprising way, it’s hard to tell exactly what each project is made of! What do you get when you add hundreds of lima beans to a wreath form, then top it all off with a glittering copper bow? The Lima Bean Fall Wreath from The Sleepy Time Gal, shown below. 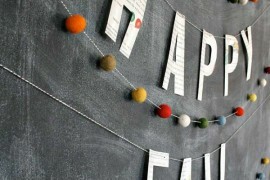 Attention: our next featured piece is not your mother’s button wreath! In fact, this Brass Button Wreath with a twist is from Family Chic, and it uses flourishes like decorative moss and craft feathers to spice up a collection of vintage brass buttons. 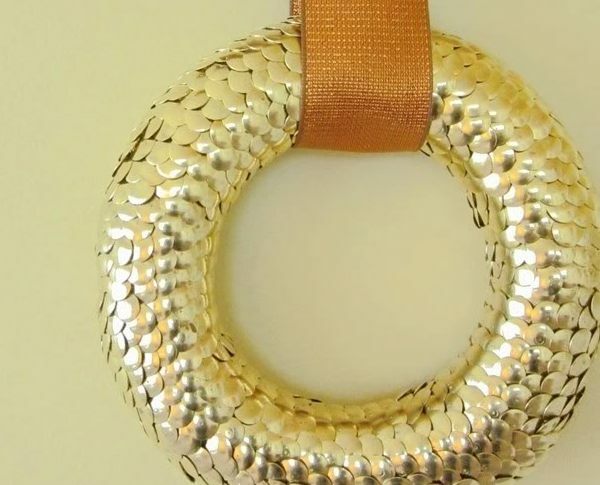 The Autumn Gold Thumbtack Wreath from Madigan Made evokes fish scales and armor. 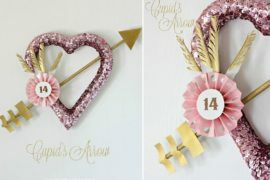 Yes, this piece is delightfully unexpected, and even more fun when you realize all you need is a foam wreath form, brass tacks, and a healthy dose of copper ribbon to pull it off! Do you enjoy collecting acorns? 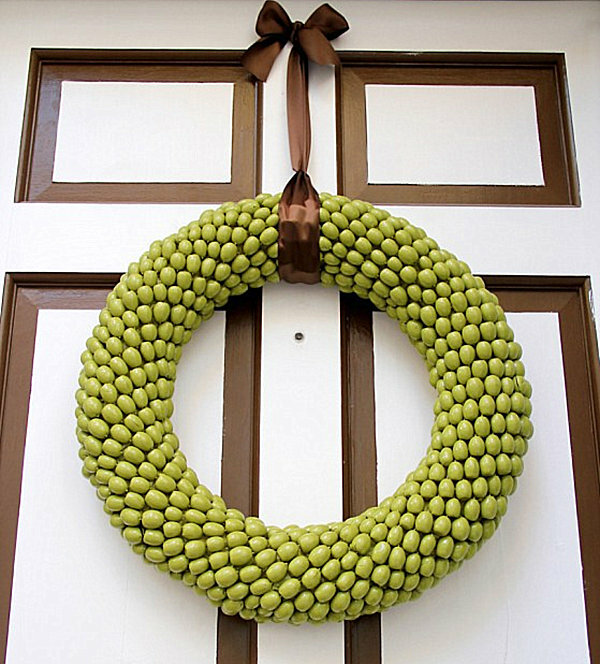 Why not give nature’s bounty a makeover with this Acorn Wreath from one of our favourite blogs, Arcadian Home? In fact, when spray painted green, the acorns evoke olives. 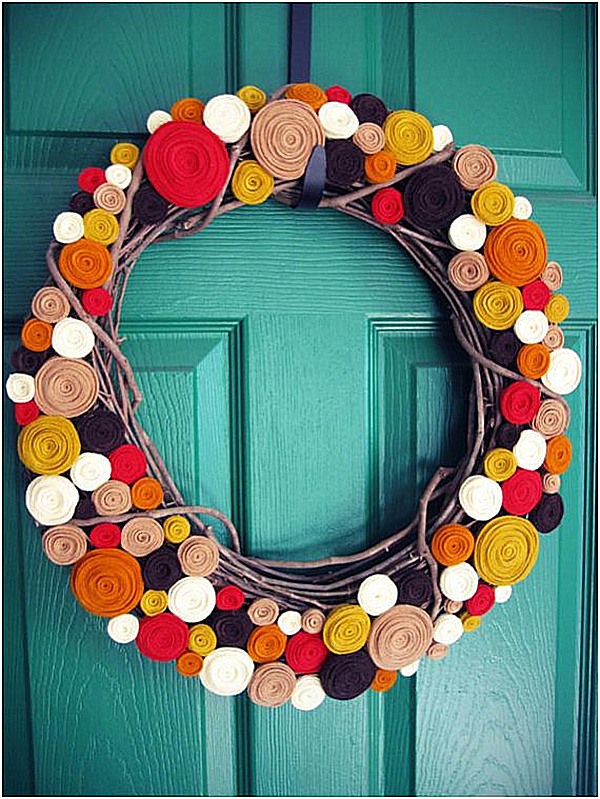 Glue them to a wreath form, top it all off with a brown ribbon, and make the perfect fall statement. Here’s a bonus tip: replace the chocolate ribbon with a deep red one, then keep the wreath on the front door for the Holidays! For our next featured DIY wreath, the “little pieces” are wheat stalks, and they can be purchased in pre-assembled form! 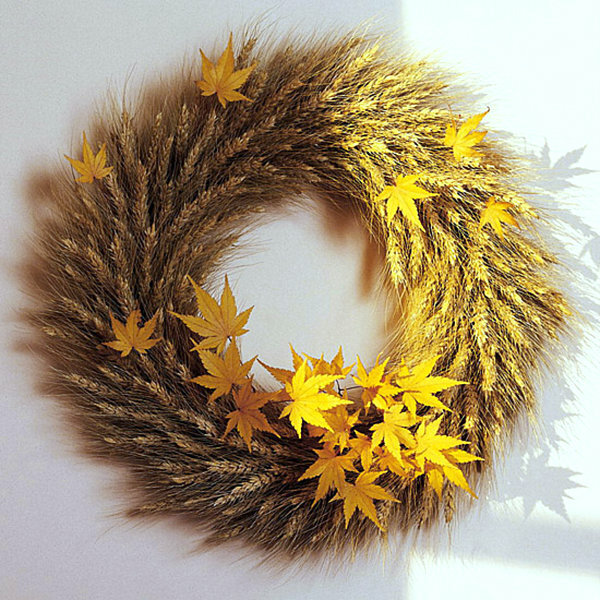 That’s right, to create the Fall Wheat Wreath from Dofaso.com, simply buy a wheat wreath, then tuck in real autumn leaves. When used sparsely, the leaves seem like shooting stars in a sky of golden wheat. Breathtaking! 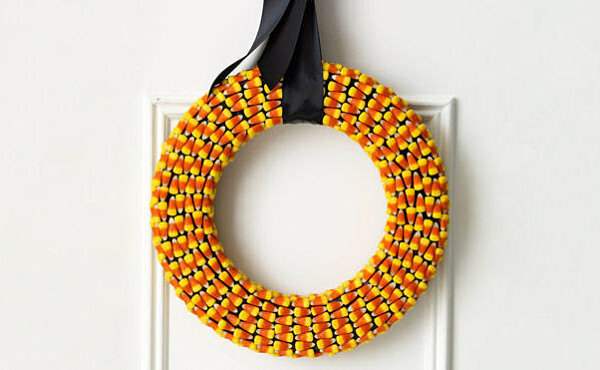 We end with a little glimpse of Halloween… Originally from Woman’s Day, this Candy Corn Wreath showcased by Frugal Novice can be constructed with the help of a wreath form, black ribbon, and of course, candy corn! To make it a bit less Halloween-specific, try using orange ribbon instead of black. 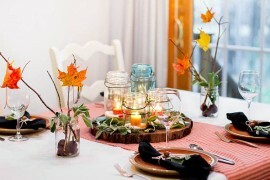 What a way to welcome guests to your door all autumn long! 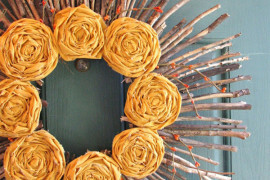 What’s interesting about today’s featured wreaths is that many of them were inspired by other DIY projects! That’s right–creativity breeds more creativity! So if you see something you like but have an idea for a different color or craft supply, go with it. And don’t forget to proudly display the results on your door!